American yacht racers love a lot of racing but the Aussies put so many days together for their racing season it makes the USA look like slackers. Two large six-day each yacht races happen in Queensland, Australia in August each year. 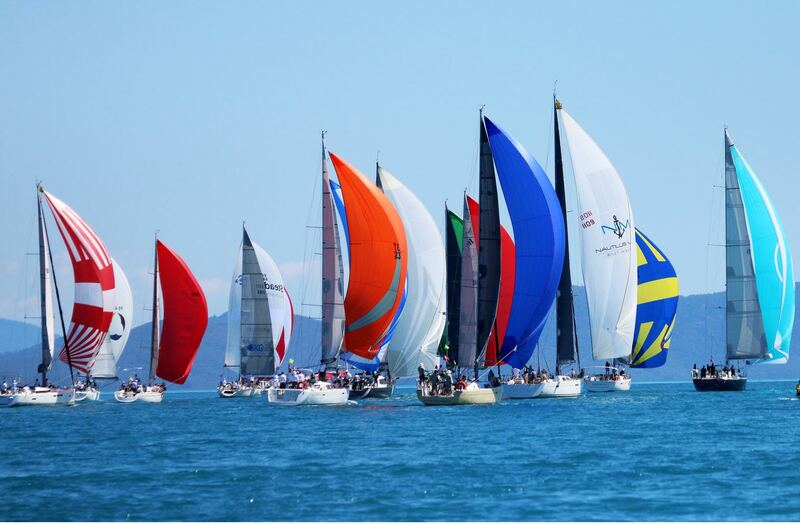 This year, Airlie Beach Race Week followed Audi Hamilton Island Race Week, Aug. 15-22. 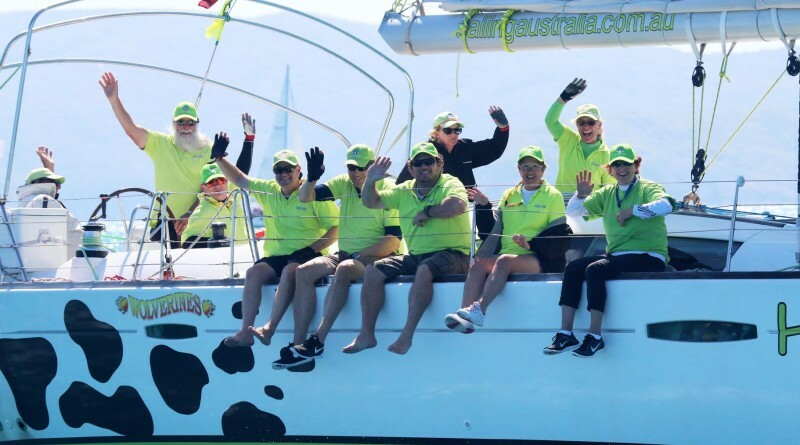 Each regatta starts with three days of long and short courses then the fourth day is a “lay day”— a break for race committee’s as well as for all skippers and crews. Then back at it again for the final three days of racing. The rounding marks on the passage races use many of the islands of the Whitsunday group (74 islands). By comparison in America and California we usually have two to three-day long regattas. IRC Australia National Championships were held this year as part of the six-day Hamilton Island Race Week regatta. Four divisions of IRC boats had 44 boats participating in the annual event. Both Airie Beach Race Week (161 entries) and the Audi Hamilton Island Race Week (202 entries) had several long passage races as well as several course races each day with 5-30 knots of wind. This was the 10th year of the running of Audi Hamilton Island Race Week. IRC Australia National Championships were held this year as part of the six-day Hamilton Island Race Week regatta. Four divisions of IRC boats had 44 boats participating. Beau Geste was the big winner. This writer/photographer/racer witnessed some of the greatest weather and condition for sail boat racing ever in her experience.